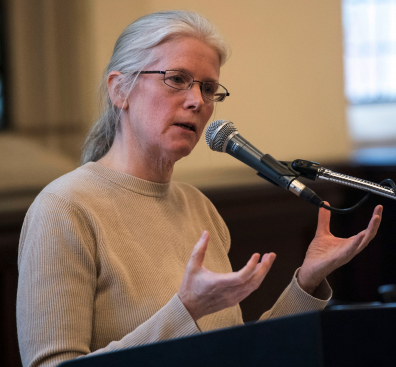 DUBUQUE, Iowa — Loras College, a four-year Catholic liberal arts college in Dubuque, will host a book presentation by the granddaughter of social activist Dorothy Day at 7 p.m., Tuesday, Feb. 6 in the ballrooms of the Alumni Campus Center. The event is free and open to the public. In 1933, Day co-founded The Catholic Worker, a newspaper promoting Catholic teachings as they applied to social issues of the day that spawned the Catholic Worker Movement, which tackled issues of social justice. Day also helped establish houses of hospitality to help those in need, fed thousands of people, wrote newspaper columns, novels and plays, and at times lived on farms as part of the Back-to-the-Land push of the movement. Day is now a candidate for sainthood. In his historic address to a special joint session of the U.S. Congress in 2015, Pope Francis singled out four great Americans: Dorothy Day, Abraham Lincoln, Martin Luther King, Jr. and Thomas Merton. The event is sponsored by Loras College Spiritual Life and the Fr. Ray Herman Peace and Justice Center. Books will be available for purchase and signing. For more information, please contact McDermott at 563.588.7056 or Anastacia.McDermott@loras.edu.